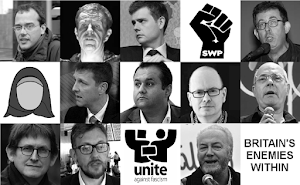 Gareth Peirce (who's a woman) is a Trotskyist (Socialist Unity and ex-SWP) lawyer who has defended Abdelbaset al-Megrahi, the Algerian terrorist G, the Tipton Taliban, British Guantanamo Bay detainees and now, Abu Qatada. In all these cases it has been said that Peirce ‘came out on top’. Clearly she has skill. Nevertheless, despite these many victories for Oppressed Killers, she still thinks that Britain has "entered a new dark age of injustice". She appears to know that she’s always defending "innocent people". But how, for goodness sake, is she a "thorn in the establishment’s side" she's portrayed as being? She is establishment. Her being a Leftist doesn't miraculously place her outside the estblishment. Nowadays, it places her firmly within it! *) One thing I’d say, categorically, is that Gareth Peirce is not "a thorn in the side of the establishment". For example, zealous and pious leftists and liberals like her rule the roost in our legal system - and elsewhere. After all, she has the prefect credentials to be part of the establishment. She was bred to be part of it. She went to Oxford, of course. (Probably PPE, of course.) And then went to the London School of Economics, of course. Before Oxford she went to Cheltenham Ladies’ College, as did Harriet Harman, Lindsey German (ex-SWP Central Committee) and many other left-wing members of the upper-middle-class establishment. This is part of a long tradition. Many thorns in the side of the establishment have been part of the establishment. For example, Paul Foot of Private Eye and the SWP. Harriet Harman and the Milibands. There is something monumentally egotistical about people like Gareth Peirce. They see themselves as modern-day saints battling against the evil capitalist (legal) system and against dangerously right-wing juries (in Peirce’s case). No one is so pious. No one else brings about so much that is negative while at the same time thinking themselves holier-than-thou. 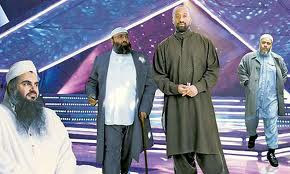 Gareth Peirce is keen to see herself as a modern-day Jesus, turning the other cheek to Qatada and the scumbag detainees at Guantanamo Bay. For what she, and others like her, do is deeply political; it’s not about justice or legal right. It's the leftist’s way of chipping away at the capitalist system... Antonio Gramsci-style (as do the revolution-through-rights-activism brigade such as Shami Chakrabarti (Liberty)). These people have conquered the institutions and culture of the UK; even if they have lost the economic war and thus have effectively left the market to its own devices. (Not through choice, through failure and the acknowledgement that there will be no old-style revolution.) They have taken over the legal system, the universities, the BBC, the Church of England and even parts of the press. Isn’t it nice to bathe in one’s own goodness when all along you are defending terrorists who kill and who kill again? 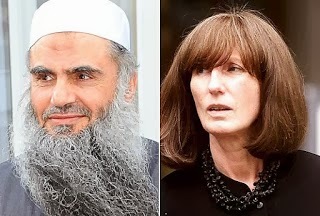 Just because Gareth Peirce wants to feel righteous and good about herself, she was willing to protect and defend Abu Qatada, as she had previously done in the case of British Guantanamo Bay detainees, the Algerian terrorist suspect G, as well as Abdelbaset Al-Megrahi, the Libyan mass killer. To repeat. Gareth Peirce is not a thorn in the side of the establishment. She is a thorn in the people's side. She even has the cheek to say that juries (Leftists are usually talking about the non-Leftist working class) are "inevitably predisposed to find them [terrorists] guilty". Only she can save them. She is a thorn in our sides.She is a danger to this country.